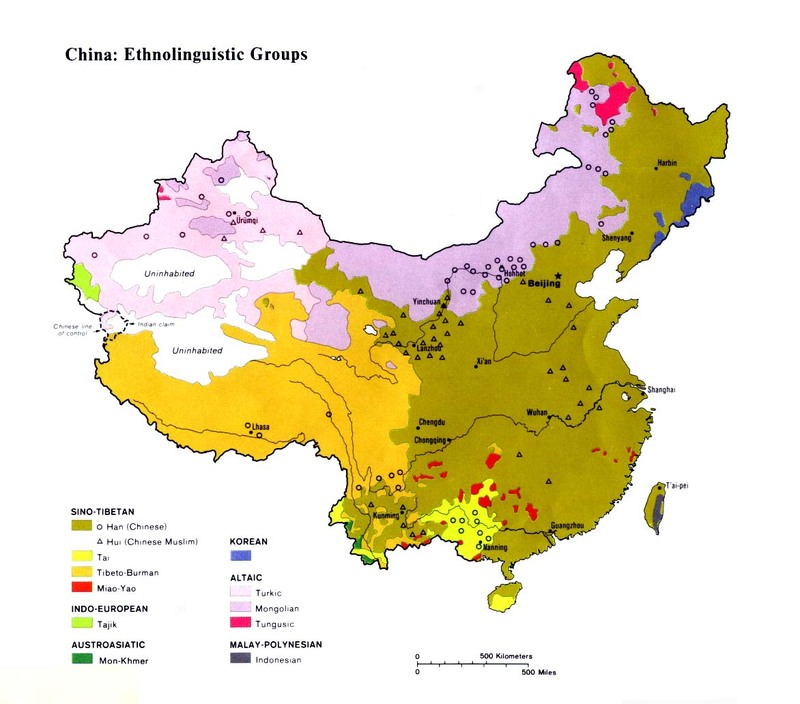 The Naru have been officially included under the Yi nationality in China, even though they retain a separate ethnicity and history from other Yi groups. The Naru are called Shuitian (Watery Fields People) by the Chinese. This name, used by the Chinese for several small Yi groups, is not used by any of the groups to describe themselves. 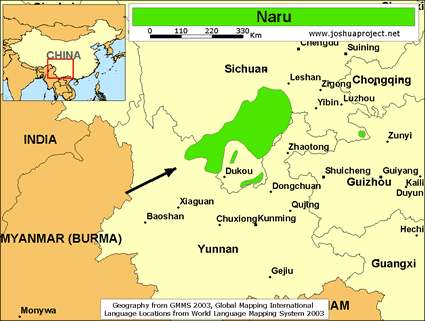 The Naru claim they originated in Hunan and Jiangxi provinces in eastern China in ancient times. They were probably Chinese soldiers who were sent to patrol northern Yunnan Province. 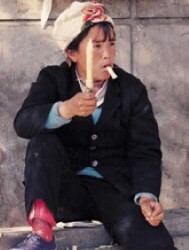 Over the centuries the descendants of the original soldiers intermarried with local Yi tribeswomen and gradually developed into a distinct ethnic group. One source claims, "The Naru are certain to have once been the same people as the Naruo with whom they now have only mild cultural and linguistic differences." When a Naru couple decides to get married, they tell their parents who then arrange for a meeting. Both sets of families come together and "engage in a whiskey drinking ceremony after which they playfully argue about the amount of gifts to be given and received until a compromise is reached. Rice whiskey also plays an important role in the actual wedding. If all the guests don't drink in agreement, then the couple cannot be considered married. Naru weddings are usually very festive and expensive occasions participated in by some 200 guests." The center of a Naru home is the kitchen fire-pit. "A day of grazing goats, cows and mules and working the corn, rice or tobacco fields climaxes around the lapping flames of the family fire-pit as the smoke wends its way through the open rafters. While gazing into the flames, all smoke their tobacco bongs or long-pipes and engage in story-telling and laughter." The Naru worship a spirit that they believe actually resides in the fire-pit. They also worship their ancestors and experience more Daoist and Buddhist influence than most other Yi groups. This is possibly due to their origins as Chinese soldiers. The remote mountains of Yongsheng and Huaping counties have been formidable barriers to the introduction of the gospel into the area. Before the 1960s there were few roads in the region. As a result, no long-term missionary work was ever undertaken in this part of China. Today the Naru are an unreached people group with no church or believers. View Naru in all countries. Location in Country: More than 11,500 Naru people live in northern Yunnan Province in southwest China. Seven thousand inhabit areas in the southern and central parts of Yongsheng County, while 4,500 live in southern Huaping County.